If you’re constantly battling urges to go shopping and buying no thanks to the temptations offered by advertising, peers who seem to have everything, or good deals that beckon, let me tell you how I won my war. I don’t have any vices at all except for the overspending on the occasional luxury, which still manages to fill me with some buyer’s regret since any kind of extravagance for me is somewhat outside of my comfort zone, being the fastidious consumer that I am. In a past life, I, like many people I know, had amassed clothes, shoes, books and magazines as an expression of my need to look and be chic and smart. But as I gained years and maturity, I became viscerally aware of how I was spending on stuff I wasn’t really using to its fullest. Now I’m very value oriented and know when spending patterns are gearing up. I know when my need to consume begins to brew. And I know right away how I should act to nip the behavior in the bud. I always try fixing my problems by being self-aware. I don’t go into denial and I won’t lie to myself. So when I sense my tendencies to spend beginning to get the better of me, I dig down deep for the reasons. Trying to overcompensate by buying and owning things can be someone’s salve for existing insecurities. Getting something new can give you a momentary lift, if you’re down in the dumps. To prevent boredom and to be distracted. If there’s nothing to do, perhaps it’s time for a new outfit! Why do young kids hang out in malls so much? Window shopping is a favorite pastime for many. Sure, just checking out the latest music or movies that are available out there is entertaining, but it also leads to purchases that you may not necessarily need to make. To look the part and to keep up with the Joneses; to maintain a public persona. Wanting to fit in, to be acknowledged and recognized by appearing a certain way will cost you some amount especially if you’re trying to impress certain groups of people. To fill up a void. Are you looking for some meaning in your life? Some people find it in shopping and spending. If you’re like me, you may have succumbed to some emotional buying. Some of the most successful shows and record production outfits out there are behind the biggest money making schemes in entertainment. Let’s take an example out of current events: Have you heard of how American Idol or other music fans are buying multiple copies of their idol’s records? I have heard of cases wherein vulnerable individuals have purchased 200 copies of recording artist’s records…sometimes to prove a point. Seriously. At least I only went as far as buying 5 copies at one point! Just like any 12 step program out there, you’ll need to do a few things to quit the spending cycle. It’s a case of knowing when you need something as opposed to when you want something. By the way, all these methods have been tried and tested by yours truly, with fantastic results! Try out free online resources to reduce and manage your debt. Here’s an article where we mention great FREE financial and debt management resources available to those who want to control their finances better. Before you can fix anything, you need to be aware of the issues. Understanding the reasons or root causes for your behavior is an awesome start. I know, however, too many folks who refuse to admit any shortcomings, so much so that the subject of money becomes taboo to them. When that happens, you know that somebody’s got something to hide. Ultimately, it becomes just their business really — they can’t fix something that they don’t want to acknowledge. Sitting around twiddling your thumbs can bring on temptation and things that are harder to control. What’s that old English adage again? An Idle Mind is a Devil’s Workshop. Well, just think of it in terms of spending. Replace your spending habits with other inexpensive activities. This is something I’ve done often, and believe me, it works! Take on a few hobbies, start some low cost home businesses (maybe open an ebay store?) where you may actually earn money (instead of just spend), and preoccupy yourself with activities that can wake up your talents, improve your skills, hone your creativity and increase your productivity. Have someone else buy for you. So this could backfire if the person buying for you isn’t responsible. But if you trust the people who do the proxy buying in your place, then you can delegate this task to those people. I’ve asked my family to buy things for me so I don’t have to go to stores. My spouse has tunnel vision and refuses to spend more than 10 minutes in a store. So that helps. Just make sure you have well written instructions about what should be purchased, including your acceptable price points. Think of the energy it took you to earn enough to afford the items you’re about to purchase. I call this, the “Your Money or Your Life” strategy. This is the title of a great financial book that made an impact on me. This approach asks you to value the amount you spend on a purchase as a factor of your time and energy. By knowing how much time and energy it takes you to earn the dollars you’re exchanging for an item, you may feel discouraged to continue with the purchase. Wait for several days before you buy something. Memories are short. You’ll see how quickly it is to forget something that wasn’t important anyway. Track your money with YNAB or some other money management tool. Knowing your financial state may give you the determination to put a stop to the unwise expenditures. Why not look into using a budgeting tool such as YNAB (You Need A Budget)? Learning how to make a budget is a step towards understanding where you are at the moment. Don’t buy stuff just because they’re on sale. My relatives are big on sales. They only buy on sale. But they also buy stuff they don’t need because they’re on sale. So when is that saving money? The operative word here is “necessity”. If you need to buy something because it is a necessity, then you should buy it on sale. Avoid brand name products unless of course they’re reasonably affordable. Why not buy generics or find cheaper alternatives instead? If you really want that brand name item, pace yourself and only make such a purchase once in a while. Some are conditioned to pick their wardrobes right out of a fashion magazine guided by the designer names behind their look. It helps that I don’t buy fashion magazines. Buy out of necessity by maintaining shopping lists. Being organized cuts down on the expenditures. This way you are focused about what you’d like to buy. Sticking to a list (and making sure you don’t stray) will keep you within the confines of the budget you created. The finer things in life don’t have to break your bank. I enjoy fine things, but have less of them; I prefer quality to quantity. Really, how many different colored shoes or bags of the same style does anyone need anyway? Look at all the stuff you already have and appreciate them. Check your possessions once in a while and give them a moment. After you realize what and how much you already have, you may lose the desire to own more. I recall that when I had to move to a new home, and had to pack up our stuff, I uncovered the tons of things I had accumulated throughout the years but just stored away. It embarrassed me into changing my impulse buying habits altogether. If things are getting out of control, get rid of your credit cards. Studies show that people who have no credit cards spend less. This won’t apply to me because I do own a few cards which I use for convenience, but you’ll need to assess your own situation and what you’re comfortable with. If you are in over your head, seek help. 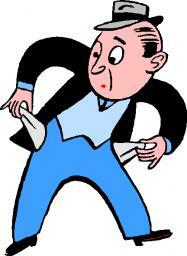 Debtor’s Anonymous or other organizations of this nature may give you the support you need. So are you ready to conquer the spending demons? A lot of this is self-imposed behavioral therapy in a way, and with enough discipline, determination and focus, you can turn these strategies into habit, or even a lifestyle, like I’ve been striving to do. Great post SVB! I enjoyed the read. Seems like we have a lot in common with our spending habits. I really need to work on #8. I like this list. I am and have been guilty of #1 and #7. Retail therapy can be a real emotional trip. As for the cures: #8, (avoiding automatic sale reflux), #10( shopping lists) and #12 (gratitude attitude) really help me to contain my shopping impulse. Thanks for posting such a helpful list. I wondered what kind of tactics people use to curb their appetites ;). This is exactly what I do so I don’t blow the bucks too much. Frugal Duchess, I like your nicknames for the tricks (gratitude attitude LOL) — you’re definitely an expert frugalist! Number 2 & 3 from “Reasons For Overspending” were written for my wife. When she is sad, she shops. When she is happy, she shops! When she is bored, she shops! I love her dearly, but she is definitely an emotional shopper. This is a really excellent post. To build on #4, I would add that one thing that really helped me curb my impulse to spend is to unsubscribe from e-mail offers and delete my bookmarks for bargain shopping sites. It’s too easy to spend money online, especially when the offers come to your inbox! I just got my supplemental property tax bill in the mail today. This post is now my new bible! Yes, best way to avoid temptation: replacement therapy. Hopefully the cheap kind! Good post. For #7, what are some other tools you recommend? I have a confession to make: I’m not a big finance tool user, but other readers may be… Several of my friends do use Quicken though. I personally just created my fancy Excel spreadsheet system to do all our tracking! And I rely on some handy reports from my bank and credit card company to tell me how I’ve spent each month! This is excellent advice. The US marketing machine is determined to make us all poor. If we took the time to even exercise instead of going to the mall, we’d all be thin and spend less on healthcare. If we read the classics, we’d be more intelligent and have money in our pockets. Remember, they want to take your money. Do you want to give it to them? It’s time to make yourself rich so you are not at the mercy of creditors. Take care and be happy! I must admit even though I readily know this, practicing is much tougher! Last month I was at Macys and saw some tops on clearance and I just cleared out my closet of clothes I didn’t wear anymore or were fading. So I bought two on clearance but after buying them and taking them home, they didn’t fit right so I returned them. I think part of buying it was the idea of feeling new in something. There’s something really strange about new clothes and how they feel. But I did better a few weeks ago. I went in with a list of what I had and what I needed and came away very satisfied after getting a bra fitting at nordstroms and buying the right size. When I first read this article, I was really encouraged to deal with the woman in the mirror and accept responsibility for all the wrong choices and mistakes that I have made in the last 5 years and stop feeling sorry for myself and get real. This article is an eye-opener for me. Thank You!!!!!!!!!!!! Great read but as others have mentioned, it’s good to realize the error of your ways but it’s a whole new thing to fix the problem. Very informative site. Want to learn ways to curb spending? Behavioral therapy may work! I was thinking that denial might be another reason for overspending. Sometimes overspending is a way to “prove” to yourself that you aren’t overextended. What Do Potty Training Mishaps Got To Do With Money?